Whenever I go to the market, I can observe the lives of various types of people. While I am staying in Melbourne or Seoul, going to the market on Saturday is a part of weekly routine for me. Now I more often go to the market since I’ve started doing my PhD research project about ajummas. In the market, I can meet so many types of ajummas who are yelling loudly to sell vegetables or haggling over the price of fruits between seller ajummas and customer ajummas. In addition, it is amazing that snack stall ajummas could remember every order without bills or calculators in the market! And there are strong ajummas who carry heavy shopping baskets for their family. 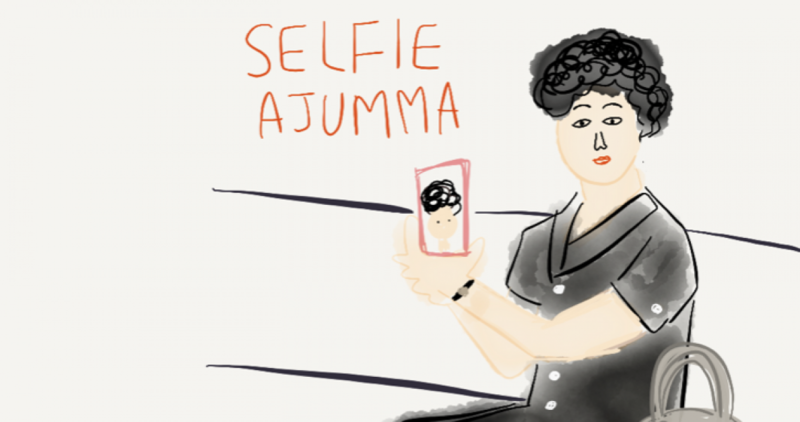 For last several years and even now, ajummas made contributions to Korean economic development. These ajummas in Korea, they are strong enough to support their family and Korean society. Posted on 20 Dec 2015 20 Dec 2015 by moon ajummaPosted in Smart Ajumma (English)Tagged ajumma, ajumma is strong, ajummarous, Korean ajumma, middle aged women.